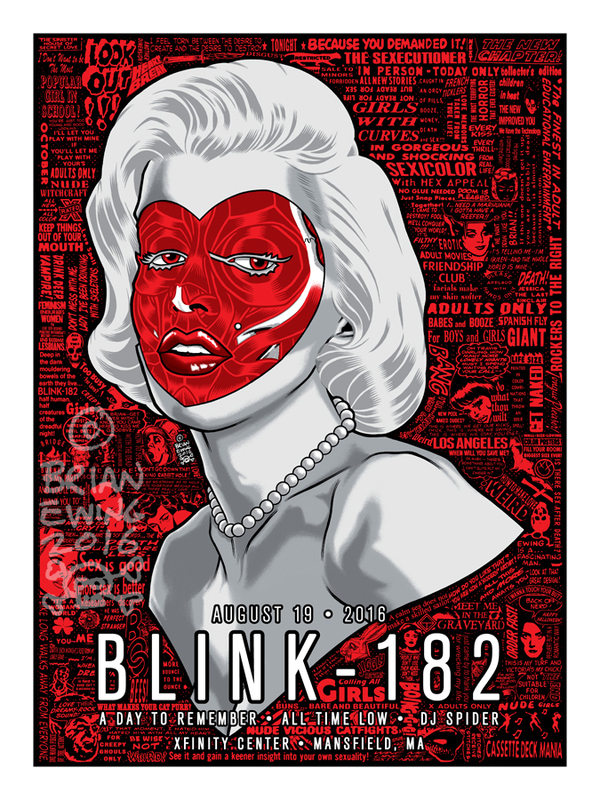 Brian Ewing just released a pretty cool new poster for Blink-182. It’s an 18″ x 24″ screenprint, has an edition of 100, and costs $40. Visit BrianEwing.com.